While I see on Facebook awesome pics of Queen’s Day in Amsterdam, I can only think that my pics are a bit lame. 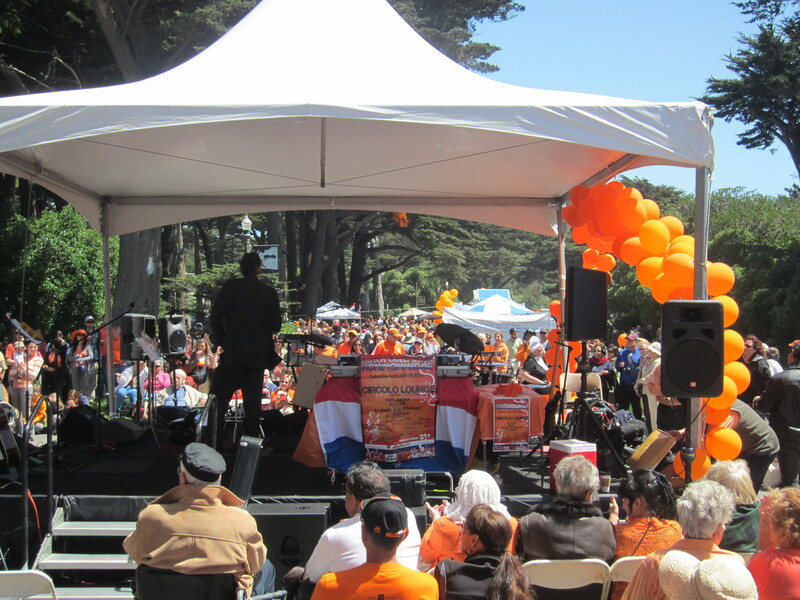 But for a celebration outside of Holland, I think that the event in San Francisco, which took place April 28, was pretty awesome. 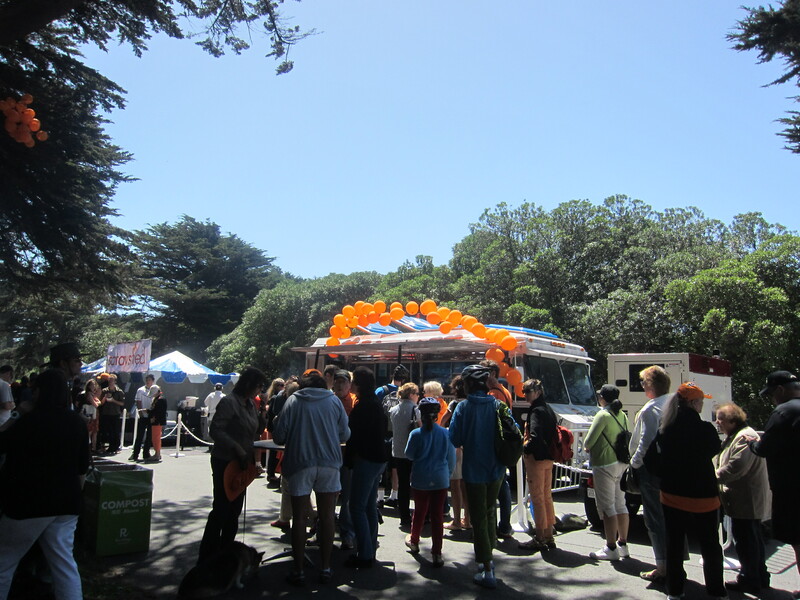 It was the second year that the Netherlands Consulate organized a Queen’s Day celebration for the Dutch community here. Last year’s was in Union Square. 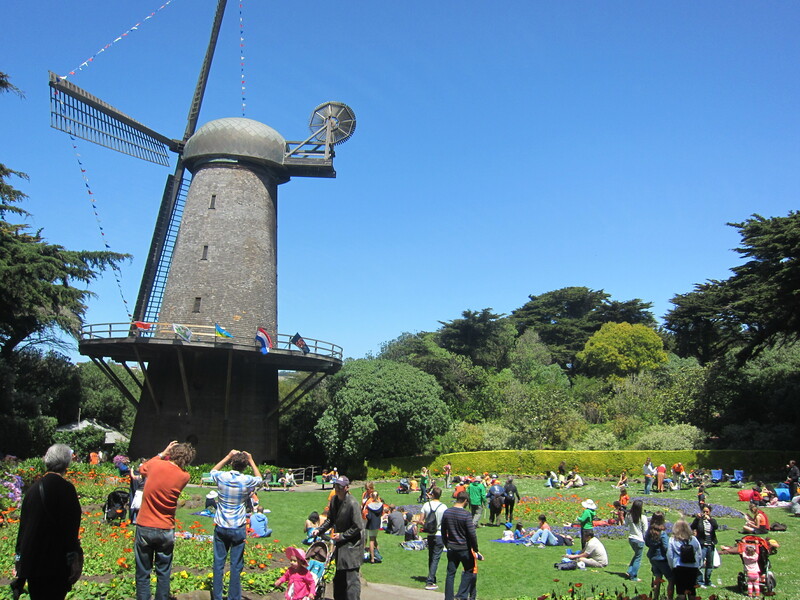 This year’s was in Golden Gate Park, appropriately at the Queen Wilhemina Tulip Garden which has the big windmill. Adding to the celebration was the unveiling of the recently restored Murphy Mill. 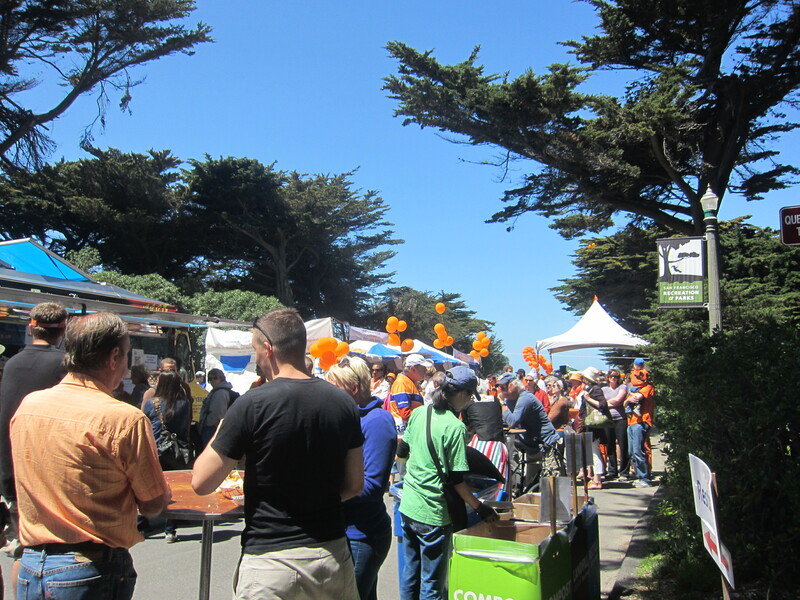 Hubby, being the very earnest Dutchman that he is, started off the day early by joining a big group of Dutch people and their fans for a 9am bike ride from downtown San Francisco to the celebration. You can see pics here. I joined Hubby later on at the park and checked out the restored Murphy Mill a bit. Then it was off for Indonesian food and beer (him) at the main area of the festival. It was a beautiful day. Plenty of people were out playing Dutch games, drinking beer, eating, shopping for Dutch treats, and just laying about enjoying the atmosphere. 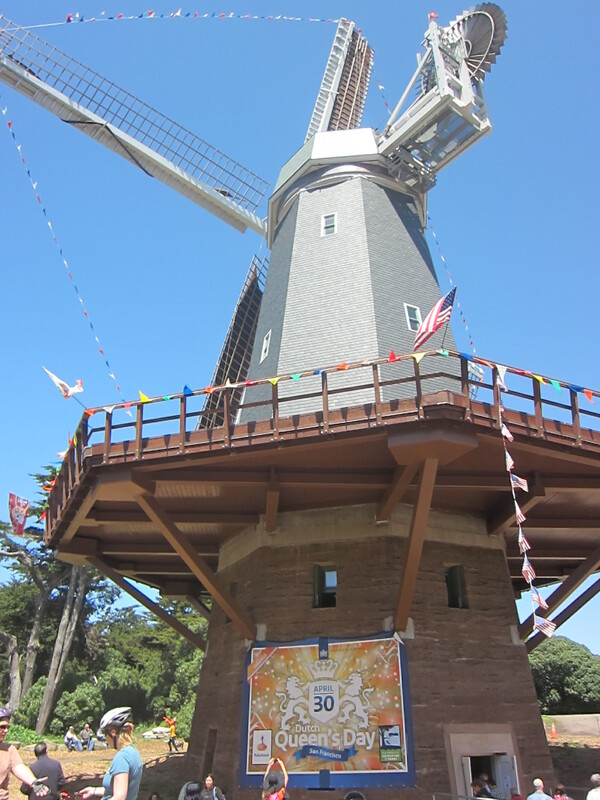 Here’s a pic of the restored Murphy Windmill. You could go inside and see pictures of the restoration. 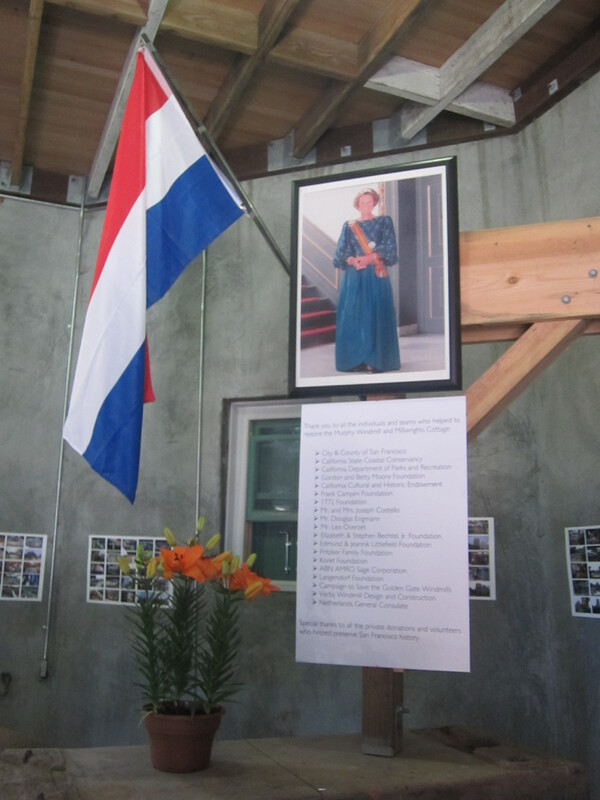 They also set up an exhibition on the restoration in the house next to the windmill. 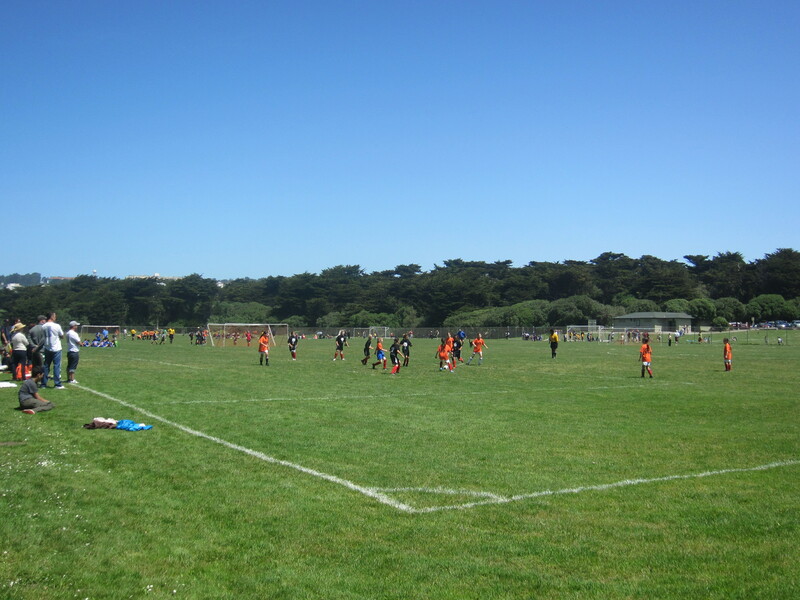 In between the two windmills, we passed by the big soccer fields which were filled with kids in orange. Not sure if they were part of the festivities or just happened to be wearing orange. The food situation definitely improved from last year. I wanted to get a big order of Dutch fries but Hubby didn’t like the line and convinced me to eat at Beach Chalet instead, which was a mistake since their fries were soggy, not crispy on the outside yet soft on the inside like I wanted. Beach Chalet was cool though; the lawn was FILLED with people enjoying the weather. After this, Hubby went on to the night club party at Circolo Lounge. 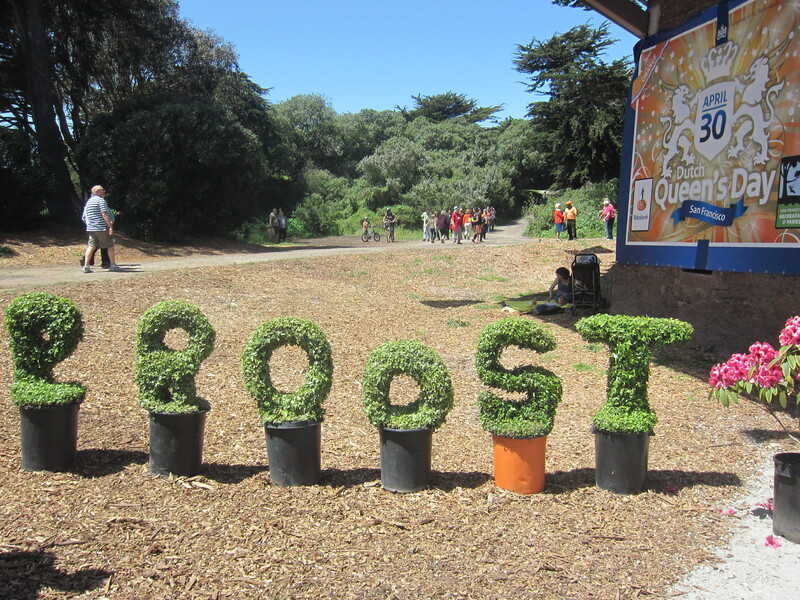 Sadly, I couldn’t go but Hubby reported that it was fun. Next year’s event will surely be even bigger and better!